Mix all ingredients together microwave 45 seconds to melt almond butter, add water as needed until you can form small balls. Mixture will be slightly thick. You can adjust ingredients to your liking. Enjoy during the day as a quick treat or preworkout power and energy boost. Weight loss: Single serving packets of plain, unsweetened oatmeal, plus applesauce and a mini box of raisens. (they are high in fiber to fill you up and prevents between meal snacking. Protecting your heart: Nuts, plain not coated with anything, no more then ½ cup per serving, excellent source of an amino acid called arginine, keeps arteries flexible and clear of deadly blockages. Clearer thinking: whole grain crackers and hard-boiled eggs, eggs are a great source of choline, the raw material needed for the production of neurotransmitters. Taming PMS symptoms: Reduced fat microwave popcorn and chocolate milk. Diets rich in calcium and vitamin D curb PMS symptoms. Popcorn helps boost levels of serotonin a natural feel good chemical. Fueling your workout: Black bean soup, buy dehydrated type, and some hot sauce in case it’s too bland. A single bowl of hearty soup supplies energy boosting complex carbs and more than 10 grams of high quality protein needed for maximum muscle growth. Yummy recipe but not for the challenges! Wait for the cheat days:) Thanks Maria. Mix all wet ingredients. Mix all dry ingredients then combine both in 1 bowl. Bake at 350 for 30mins. Enjoy!!! Here is the Grilled Chicken and Brown Rice Recipe I made last night. Glad you enjoyed it, now enjoy it with your friends and family. I have used my own salad dressing instead of the vinegar if you don’t like you can buy the spray ones that are great also. And add or subtract anything you might not like, it’s a great recipe you can change up a bit, like adding dried cranberries or walnuts. Either way enjoy. I found some yummy smoothie shakes again I so love smoothies they are so simple and so good for you, better than anything you’ll find at any fast food or smoothie bar because they are lower in sugar and fat. They have more nutrients also because the stuff is all fresh, it comes from your kitchen and isn’t that what we want good wholesome nutrition in our bodies to function better. Enjoy them, some might be repeats but they are worth trying them again. Blend all together if you need a little more liquid try adding almond or coconut milk. Frozen berries or other fruit of your choice try it out see how it tastes. So it’s almost February and many of you I know are thinking chocolate, at least I know I am so I figure lots of others are doing the same. Well remember chocolate is not really our enemy there are many benefits to dark chocolate and cocoa. It all depends on the type of chocolate you eat I know from a very good friend that Dove Chocolate is one of the better chocolates to eat. We know based on research that it’s actually good for your heart health, is high in antioxidants, gives us that happy feeling (mood enhancer:) which is great for those times of the month us ladies need a little lift:) and so much more. So on to more good stuff, to celebrate Valentines a little early this year I’m offering the great taste of Chocolate Meal Replacements and Chocolate Muscle Gain Protein shakes by Advocare Nutritional Products – the ONLY supplement company I truly trust at a discount rate of 14% off through February 14th! How cool is that? If you want an even bigger discount and I mean up to 40% you’ll have to ask me how and I’ll help you get there, how better is that, great products you can trust at an awesome price for as long as you want. So if you’ve been skipping meals, this is a great alternative to make sure you’re getting all of your nutritients so that your metabolism stays sky high all day long. You especially want to kick start it first thing in the morning and what a better way to do it, then a chocolate shake, tell you co-workers and friends that and see what they say. Then tell them you’re losing weight eight them, that’ll really freak them out. Let me know if they are interested in finding out how they can do it also. Advocare’s Meal Replacement Shake in chocolate, enjoy just as is or blend with a frozen banana and almond butter (or peanut butter). Advocare’s Muscle Gain- This is great for an after workout shake, fill those muscle with good protein to help them start to repair and recover; you’ll build lean fat burning muscles. Blend it all up and enjoy, tastes better than a mocha java chiller and so much healthier. For more information on Advocare’s products go to www.advocare.com/03023877, contact me if you have any questions or want to place an order as you can only receive the 14% discount by placing it with me directly. 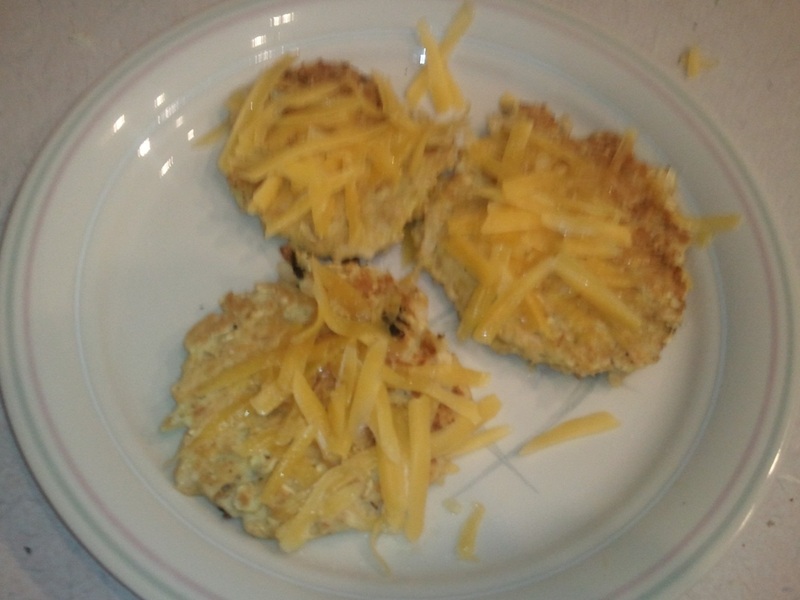 Mix all first six ingredients together, make into patties, grill in coconut oil, add cheese just before taking out of pan to melt and enjoy. They are so yummy, even Ella my four year old ate about three of them:) Enjoy these for breakfast, post workout, or lunch. Because they have additional complex carbs in them which you want to use mainly on days you exercise or for your first meal of the day, these shouldn’t be eaten for dinner often if ever. Grill chicken in coconut oil add onions if you like, add taco seasoning and salt and pepper to taste. Make a big pile of lettuce mix, add chicken, onions, tomatoes, and a spoonful of greek yogurt, you can also add some salsa preferably homemade and you have a delicious protein packed dinner with lots of colorful veggies. 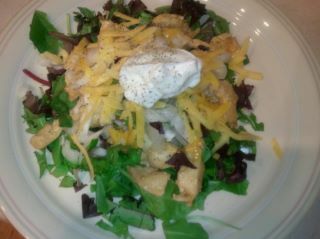 Enjoy this is a great dinner during the 21 Day Eat Clean and Get Lean program or anytime. Here is a switch for those morning smoothies or after workout shake. 1. Place cranberries, orange pieces and orange juice in a blender and process until completely blended, approximately 1 minute. These are yummy in the morning before a workout or as a snack during the day for a pick me up. 2. Place all ingredients in a large mixing bowl. Mix with a wooden spoon to combine. 3. Spread mixture evenly in a 9″ x 9″ baking dish. Bake for 25 to 30 minutes or until golden around the edges. Let cool and slice into 8 bars. 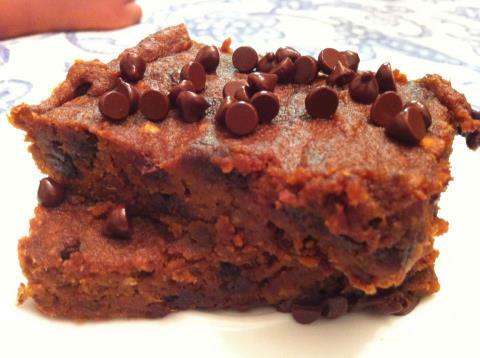 Here is a spin on those goey yummy bars we all love, enjoy! Knead all ingredients in a large bowl. Line a square baking pan with wax paper. spread dough into pan. Optional: Spread another layer of peanut or almond butter on top. Freeze for 30 minutes and enjoy! 1. Line an 8″ square baking dish with parchment paper. 2.Combine all ingredients in a mixing bow. Use hands to mix until they are well blended. 3. Pour mixture into lines dish and smooth with the back of a spoon until even. 4.Place in freezer for 30 minutes. Remove from freezer and cut into 6 bars. In a medium-sized bowl, mix chia seeds with water. Let stand for about 20 minutes, stirring frequently until mixture takes on a gelatin texture. Chill for about 30 minutes before serving. Garnish with raspberries. Add all ingredients to the blender. If your fruit isn’t frozen, just add some ice cubes. Blend and enjoy! Are there recipes for Christmas cookies?